An open, damaged Telstra pit on the footpath of Derby Street in Penrith is causing frustration with locals, as broken concrete and telephone wires lay exposed to pedestrians. Local Richard Dever says it’s lucky no one has been injured from it yet. 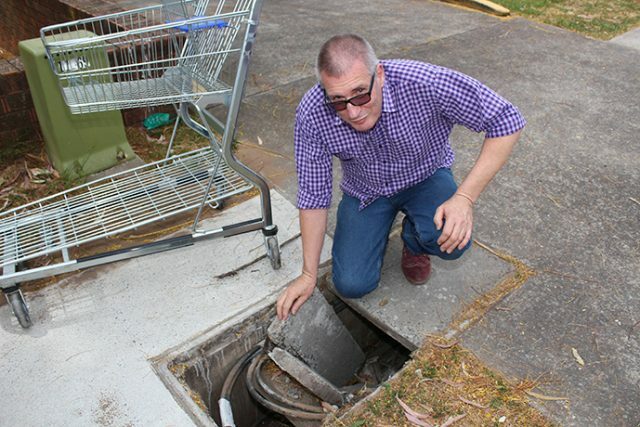 He said that the hole has been open since the start of the week, posing a danger to residents with nothing but a discarded shopping trolley sitting on top of it. “We have a lot of mobile scooters that travel down here, a lot of blind people that walk down here. Worried no one else had made the call, he reported the damaged pit to Penrith City Council on Wednesday morning (September 27) and was allegedly told by staff, “we’ll get on to it”. He then contacted Telstra, who he says were unhelpful. “It was everything wrong but them,” he said. 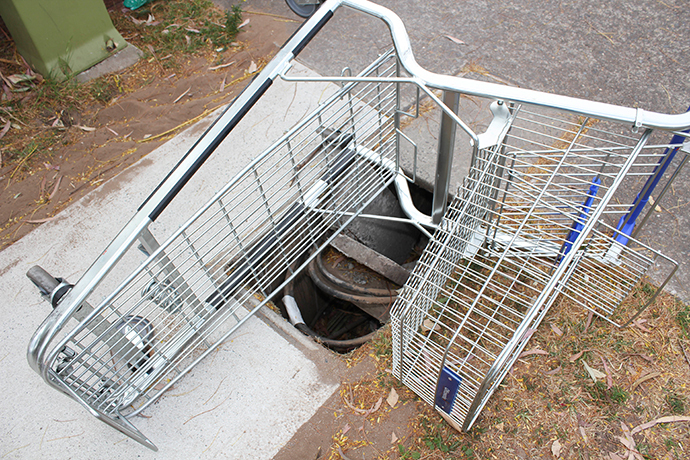 With the trolley covering the hole, it still protrudes onto the footpath posing danger for local residents. “If some silly person takes this trolley away, and someone is walking down this path at night time, the next thing you know, someone will be screaming because they’ve broken their leg in it,” Mr Dever said. Despite Mr Dever saying he spoke to Council as early as Wednesday morning, a Council spokesperson confirmed that the pit was reported to Council on Thursday afternoon (September 28). “Telstra have been notified so they can make it safe and carry out permanent repairs,” the spokesperson said. 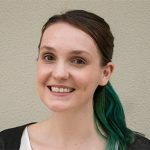 Council is not authorised to modify Telstra assets. Sick of the back and forth, Mr Dever is calling on companies and Council to put the safety of people first. “Everyone likes to pass the buck, but it’s got to stop somewhere,” he said. A Telstra spokesperson said the issue is being investigated. “We are working as quickly as possible to repair a pit cover that has been reported damaged on Derby Street in Penrith,” the spokesperson said.